When you find the ones that your soul loves (like that quote, right? ), then you should never let them go. In May I had a chance to photography the wedding of Aryn and Zach, and this is the resounding theme from the whole day. It was a day filled with the gathering of two families and their friends to celebrate them finding each other; ultimately, finding the one that their soul loves. Even in the smallest of details at their wedding, they revolved each piece and moment around what would represent them as a couple and their union. It was a beautiful testament of their love for each other. 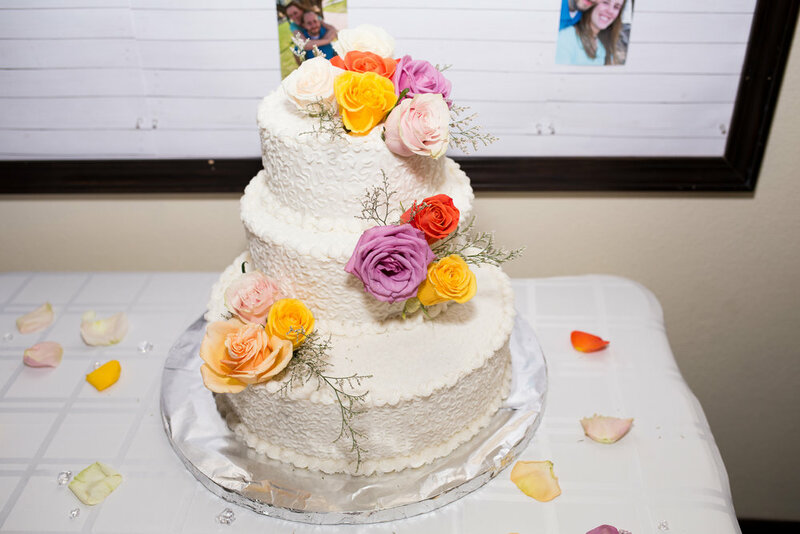 Their wedding and reception took place in the Sagecreek Bible Church in Peyton, Colorado, and it was decorated beautifully with roses and an arc. The perfect spot for a First Look. To hear Zach tell Aryn over and over how Beautiful she looked and for them to take a moment of silence to pray over their day was touching and sentimental. I'm so glad that they were able to have this time together for just the tow of them before saying their vows and greeting all of their family and friends. It was such an honor to guide them through their photos and create images that reflected the deep love they had for each other, even just from looking at each other from across the room. Together they were sweet, compassionate, and full of care for the other as they proceeded through their day. One of my favorite parts of their ceremony was the Unity Cross that they built together. Each of them had a piece that they put into alignment, and then together, they used the pegs to build their first cross as a family. It was sweet and full of meaning both literally and figuratively. It was unique and new way to symbolize two souls becoming one. Wishing Aryn and Zach a lifetime of happiness, joy, compassion, and adventure. May their love always be the thing that holds them together and keeps them working together as a team, to create the life that they have always imagined. It was an honor to be a part of your wedding day!